A Grandma's Heart: Eeeekkkk! A Snake. . .Shoe tie-er. . .George can ride without training wheels! Eeeekkkk! A Snake. . .Shoe tie-er. . .George can ride without training wheels! Let's just get started with this creepy story about the snake. Seems Sarah and Chad's family had just got back from seven days of vacation at family camp. They were unloading all their "stuff" and Laura Jean and Travis were in the living room. Travis was crawling over to the chair at Laura's school desk when Laura noticed something. Here's the story as she told it to me. ..
it was a worm. . .but then it kept getting bigger and bigger and I saw that it was a snake! Well, Mom came and Dad killed the snake, he cut it in two." I asked, "What kind of snake was it?" She said, "I can't remember. . .oh yes, I think it was some kind of 'head'". Laura, "Yeah, I think that was it." Note: Laura's desk is right close to the back door of the house. We're not sure if it came in from the yard or from the camping gear they were unpacking. We're also not sure what kind of snake it was. It was pretty small. I certainly hope it was an orphan and not from a large family! 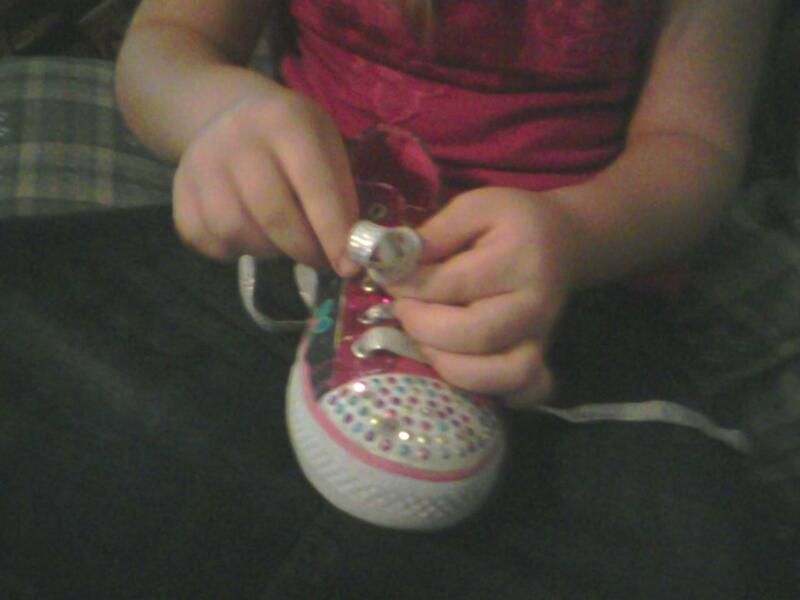 In other big news. . .Laura has learned to tie her shoes. 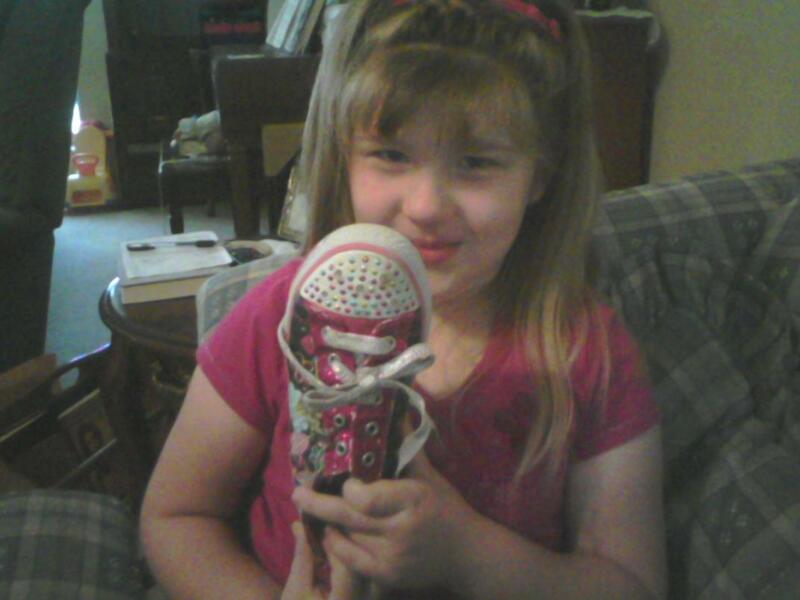 She is very proud of this accomplishment and was very willing to demonstrate her new ability. One more update. . .
George Thomas has learned to ride his bicycle without training wheels. ..
so if you are anywhere near where he's riding watch out! one way or another he stops suddenly and starts again. On the same note, Kimme learned to pedal and she is very excited about that. She goes around saying, "I can pedal now. . .did you know I can pedal now?"